Minister of Finance Sri Mulyani Indrawati was named the finest Finance Minister in Asia Pacific in 2018 by FinanceAsia financial magazine following the same award received last year. 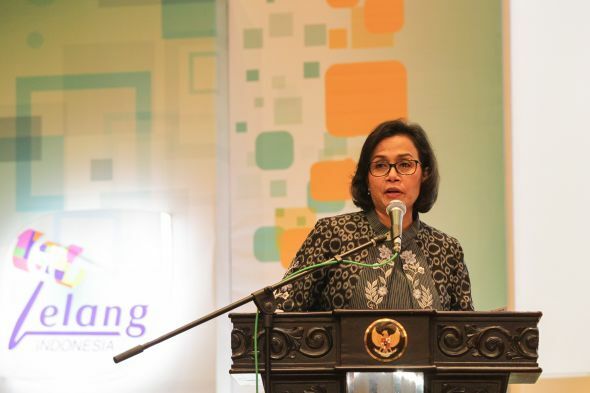 Through a press release from the Ministry of Finance, Jakarta, Monday (16/4), FinanceAsia considers that Sri Mulyani has succeeded in bringing the Indonesian economy to a better direction. FinanceAsia also believes that Sri Mulyani managed to maintain the stability of state expenditure seen as seen from the lower budget deficit (2.5%) compared to the original projection (2.9%). The government is also considered successful in maintaining the stability of inflation and the rupiah exchange rate. In 2017 also, Indonesia's Gross Domestic Product reached US $ 1 trillion for the first time, with stable economic growth above 5%. FinanceAsia also announced ratings for other finance ministers in Asia Pacific. The second rank was awarded to Singapore Finance Minister Heng Swee Keat, ranked third Philippine Finance Minister Carlos Dominguez, fourth in India's Finance Minister Arun Jaitley, ranked fifth among Chinese Finance Minister Xiao Jie. Furthermore, the sixth rank was awarded to South Korea's Minister of Strategy and Finance Kim Dong Yeon, ranked seventh Australian Finance Minister Scott Morrison, ranked eighth Thai Finance Minister Apisak Tantivorawong, ninth Japanese Finance Minister Taro Aso, and Finance Minister Paul Chan. Meanwhile, the 11th and 12th rankings were awarded to the Malaysian Minister of Finance Najib Razak and the Finance Minister of Taiwan Sheu Yu-jer. Top of the best finance award, Sri Mulyani revealed that this award can not be separated from the leadership of President Joko Widodo and Vice President Jusuf Kalla who always encourage all ministers to work hard to improve people's lives. It is also an acknowledgment and appreciation for the hard work of the government in the economic field, supported by cooperation between the Ministry of Finance and all stakeholders. "State finance is a tool to realize the ideals of Indonesian independence to create a just and prosperous society and a civilized and dignified nation," said Sri Mulyani. 0 Response to "Sri Mulyani, Best of Finance Minister of Asia Pacific 2018"